Posted by The PerfectHouse Team on Tuesday, June 10th, 2014 at 3:40pm. 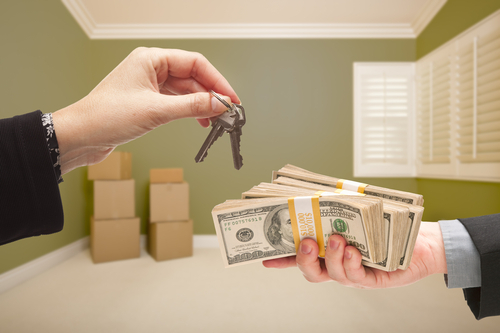 All Cash Offers are on the rise nationwide according to a recent Washington Post Article. Is a Cash Offer Better for a Seller in Today's Market Conditions? We will address this from both Buyer and Seller positions in two separate posts. Today we'll go over the Sellers' side. "Cash is King" as the saying goes but is it always in your best interest to take a cash offer verses one subject to conforming financing options such as VA, FHA or Conventional mortgages? Let's weigh some of the pro's and cons. Pro: A Valid cash offer may be able to close faster than an offer subject to mortgage underwriting. Pro: There may be lest risk working with cash since the buyer does not rely on a third party for the funding. Mortgage Underwriting guidelines have become much more difficult for some home buyers to navigate and they seem to be constantly changing. Pro: Some Cash Offers do not make the sale contingent on a lender appraisal or opinion of value. Be Careful, many still make a cash offer subject to an appraisal as well. Pro: A Cash Buyer may not need as much Settlement Costs assistance from a seller since their are not loan origination fees or escrow account expenses as compared to a mortgage. Pro: Conforming Mortgages often have property condition guidelines that may affect loan approval where as a cash buyer may waive some of these issues, some of which may be as minor as peeling exterior paint. Con: Cash Buyers often expect to buy at a bargain since they are "bringing cash". They feel Cash should prevent them from being expected to pay retail price. In reality, homes do not close escrow with cash certified funds must pass through a settlement agent just same as a sale funded by a mortgage company. However, it may be fair to consider a price reduction equal to what a mortgage borrow may ask for. Con: Not all Cash Buyers have liquid funds available and in place when they make a "Cash Offer". They may be relying on a Family loan, IRA or 401K withdrawal, a Home equity loan on another property, third party private financing. Since they are not getting an official "mortgage" they define their offer as Cash". In these cases there may actually be more risk taking a cash offer if their "cash" source turns them down or falls apart due to regulations they may have been unaware of. It Always Pays to interview more than one Realtor to compare experience and knowledge. A full time professional Realtor with experience should be able to guide a seller through all of the potential "What If" scenarios. It's important to make any buyer validate their funding to ensure the Cash they think they may have is actually liquid and ready to close escrow without the approval or reliance on any third party. Additionally, unless there is a stronger motivation to close quickly accepting a cash offer vs. a mortgage funded offer does not make a home worth less money in sales price. A season Realtor will compare the sellers net on a cash offer to a compatible mortgage offer so the seller can see they are not cutting their price further than may be needed.